Adam Feinsilver is a business entrepreneur and tech law pioneer with experience in computer sciences pre-dating IBM's first home PC. 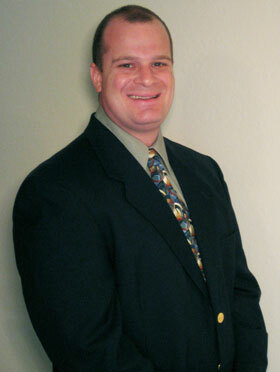 Adam has been involved in creating tech practices in several of today's large law firms. He got his start in the field in the mid-1990s as a legal student while helping fellow tech attorney Mark Grossman build a technology division at Becker & Poliakoff, P.A.. Bringing a background in computer technologies foreign to attorneys, Adam provided insight through research and writing which shed light on the problematic tech issues underlying today's legal agreements and laws. Before even graduating, Adam's work was being published regualarly in national publications as well as the firm's own newsletters. After graduating from St. Thomas University School of Law in Miami in 1998, Adam was tapped by firms such as Holland and Knight for insight into starting up a tech practice. Instead of going to work with the "big guys," Adam founded his own firm where he began focusing on providing premium customer-service and unparalleled experience to today's tech industry players and startups. Adam continues to lead the tech law field as a solo practitioner and co-counsel to other firms where complex tech and commercial transactions are involved. Recently, Adam provided co-counseled with another high-end technology firm for a massive technology due diligence project involving the buyout of one international corporation by another. In addition to helping develop and implement a system for handling the project, Adam lead the review of the technology agreements which represented a large percentage of the target corporation's value. Adam strongly believes that clients get the best service from an attorney who can connect, understand, and get excited about their products and services. As someone who is passionate about technology, Adam actively participates and keeps current with emerging and developing technologies such as website design, scripting, blogging, podcasting, entertainment products (such as videogame products and toys), audio and video production, graphics design, and animation. Adam acts as his clients' team player, staying cutting-edge along with his clients and staying driven by his passion for his work and his client's products and services. Adam Feinsilver is a member of the Florida Bar and has been admitted to practice before the U.S. District Court for the Southern District of Florida.